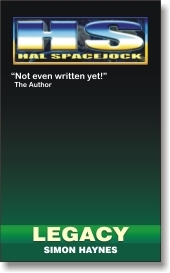 I just updated the Hal 5 page on the Spacejock.com.au website, adding a bunch of Frequently Asked Questions which keen Hal readers might find interesting. You're welcome to ask more questions in the comments. I'll pick some out and answer them on the page.